The journey from text to pulpit can be a long and winding road, filled with false starts, surprising discoveries, and hard choices along the way. On a semi-regular basis, the homiletics faculty of Concordia Seminary invites you to walk the road with the preacher in the Preachers Studio series. Each sermon was preached during chapel services at the Seminary. Afterward, a homiletics professor sits down with the preacher, to talk about the sermon, its preparation and execution, and dialogue about the art of preaching. We welcome you to join in the conversation. 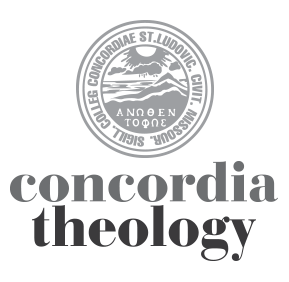 The chapel sermon and interview can be downloaded at Concordia Seminary’s Scholar archive.